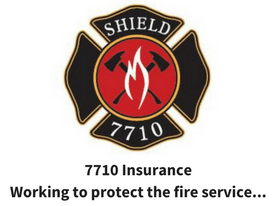 I often get emails and questions about ways to improve leg strength and recovery while in firefighting gear. We all know that stairs and climbing are major fire rescue movements performed on the fire ground so… improve your leg strength and you could improve your performance on the fire ground. 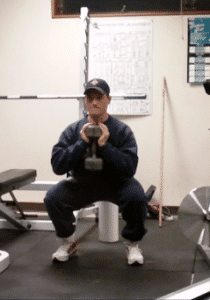 One exercise in particular is very good at doing just that….the goblet squat. The goblet squat is a multi-joint lower body exercise that fires up (no pun intended) the glutes, quads, and hamstrings. Unlike the traditional back squat, the goblet squat is executed by keeping the body in an upright position, which results in less strain on the lower lumbar and spine and places an increased demand on your upper back and core. It is a great exercise for adding volume to build work capacity or conditioning in circuits. 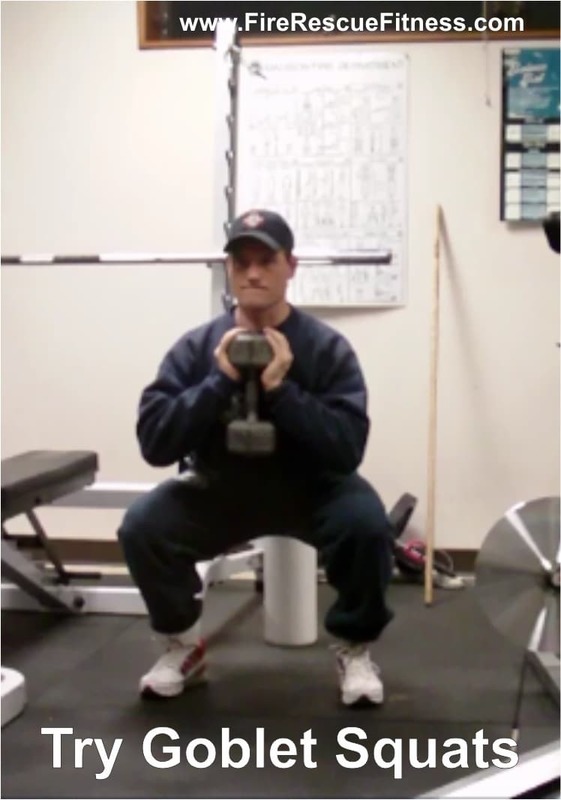 Goblet squats also help improve mobility in the hip, thus helping you out with other fire rescue movement patterns. Here is how you can do a Goblet Squat: Grab a dumbbell and hold it vertically in front of your chest, with your feet slightly wider than shoulder-width apart. Keeping your back naturally arched, push your hips back, bend your knees, and lower your body until the tops of your thighs are at least parallel to the floor. Pause, then push yourself back up to the start. Your elbows should point down to the floor and your torso should remain as upright as possible. Click the link below to see the Goblet Squat in action. You can use the goblet squat as an addition or substitute for any lower body exercise. 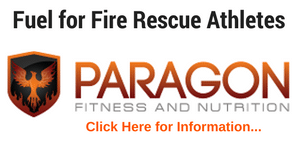 For fire rescue athletes, this exercise is a functional way to help improve your performance. For more endurance try to perform for sets of 12-15 reps or work heavier loads for sets of 8 reps. Give them a try! 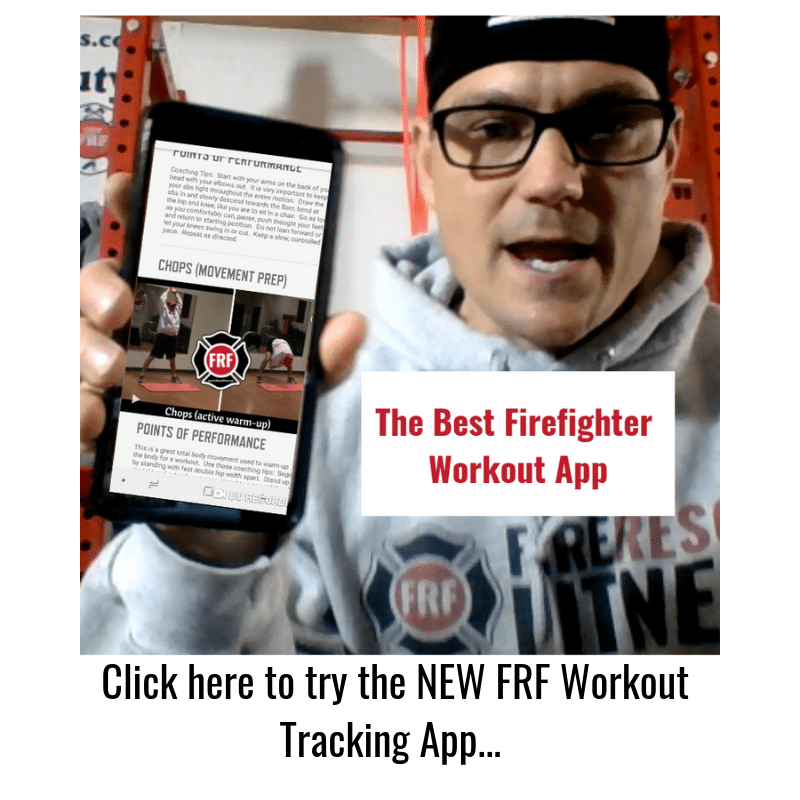 Need more direction with your Firefighter Workouts…CLICK HERE to check out the Ultimate Fire Rescue Athlete Workout. 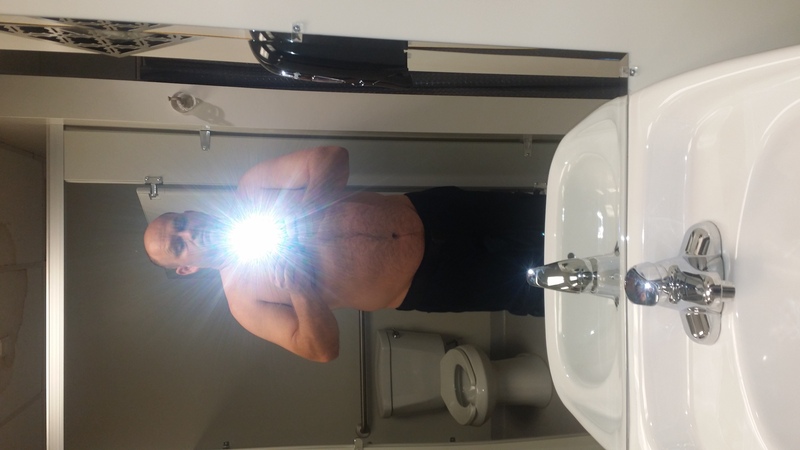 This a great exercise , just be careful with the knees , I done squats in the gym for years, you got to use good form, and watch them knees, wraps help a little.